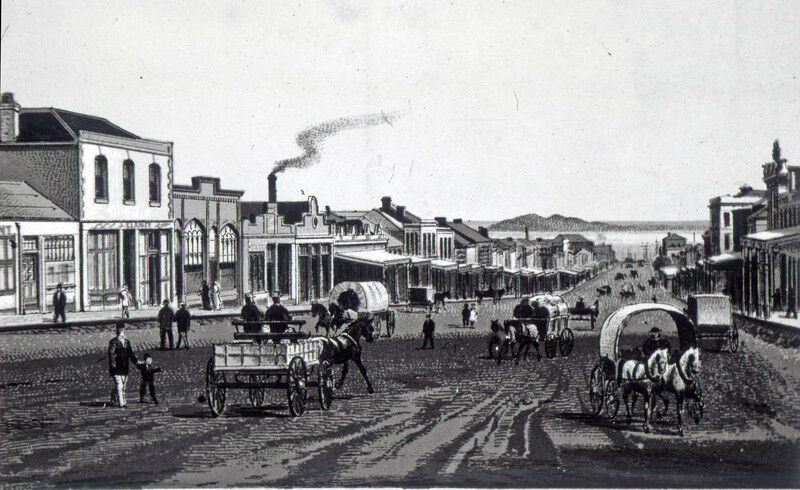 That’s the old Brian Boru Hotel in Geelong – the second building from the left in this sketch from the 1880s. Fortunately it’s still standing at 208 Moorabool Street. Unfortunately the City of Greater Geelong is a tad lacking in proactively saving our Heritage buildings. In fact they have a bad track record and it would be nice to think this building will not join the list of others in a shocking state of disrepair and/or demolition for ‘safety’ reasons. 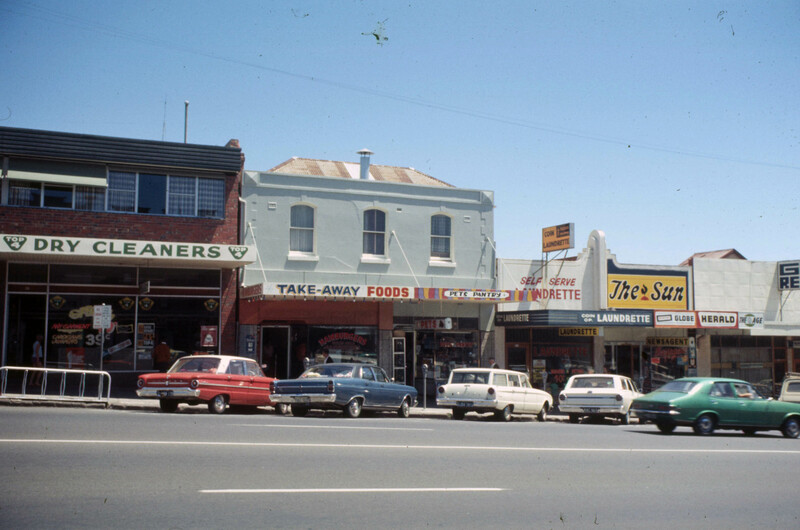 This was the hotel in 1972 – photo taken by the late Ian Wynd. Well I tried to do the right thing and link to the Geelong Advertiser article that prompted this post but I failed! The link works fine from Google but when I tried to embed the link here it went to a subscription page! And this is what it looks like today! The article is well worth reading and seeing the interior photos of this building that is being trashed beyond belief. You may be able to pick up the article – I searched Google for ‘geelong advertiser brian boru hotel’ . That option worked fine but the resulting link didn’t work when embedded. 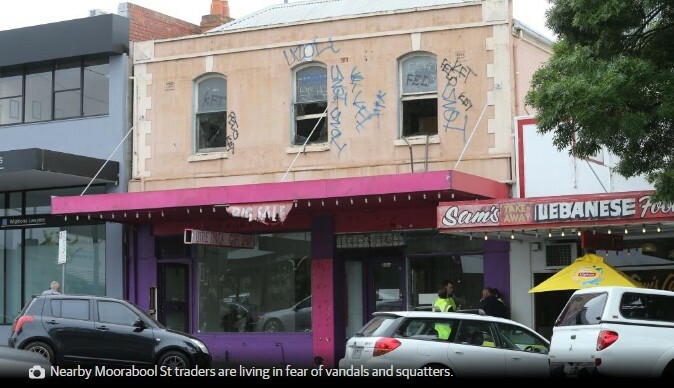 An updated article in today’s (26 Nov 2016) Geelong Advertiser stated that the owner planned to restore the building and keep squatters out. Time will tell – owners of other heritage buildings have allowed their building to deteriorate beyond repair. Hopefully that won’t be the case with this one. Were you related to any of the licensees? What about John CLANCHY who was licensee for almost 40 years and by newspaper advertisements was still the owner when he died in 1917. He transferred his license in 1895 to Sarah Jane CLANCHY – I wonder if this was John’s second wife (known as Sarah Jane as well as Sarah Mary Jane) who he married in 1890 or his daughter Sarah Jane who would have been only 23 at the time and did not marry until 1909. Perhaps there are descendants around who have a photo of John CLANCHY – it would be great to add his image in a blog. As he had 14 children from two marriages and at least 9 lived to adulthood, there are likely to be some grand-children and great-children around who may have photos in their family collections. This list of licensees is from the book Geelong Hotels and Their Licensees by Bill Morrow and Ian Wynd. Previous History Week – did you know? Just checking the address is correct? I thought the old Brian Boru was at 208 Moorabool Street! Hi Geoff – I’ve just changed it to 208 Moorabool Street as you suggested – this is the number given in the Addy and also the place that comes up on Google Maps for 208. I didn’t think that Moorabool Street properties were renumbered like that as Bill Morrow and Ian Wynd have it at 226 – they weren’t wrong very often! And the Victorian Land Channel map shows it at 208A and 208B Moorabool Street – now I need to check my Geelong & District Hotels web page and correct that – I used the addresses in Bill & Ian’s book for most of that!